﻿ A-Maze-N Funhouse - Ohio. Find It Here. Prepare to be amazed! EnterTRAINment Junction's A-Maze-N Funhouse is designed like an old-time circus midway, and is an adventure for the whole family! 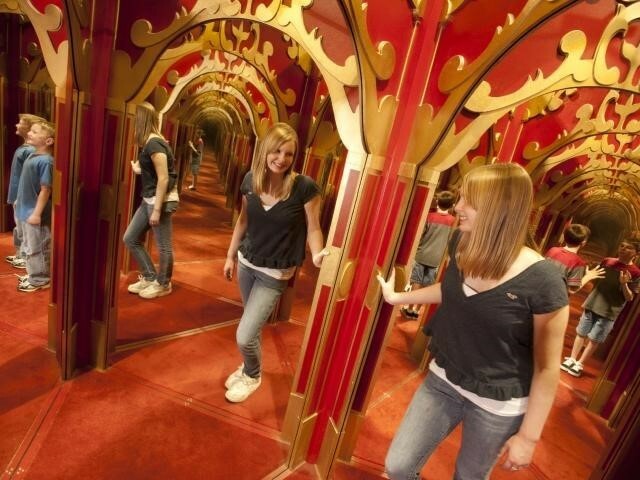 Navigate your way through Curtain Chaos and the Mirror Maze - who can find their way out first? Learn from the pros at Clown College, then try to access the secrets of the circus in the Crazy Caper. Finally, step outside of this universe in Outer Limits - hang on tight! Free On-Site Parking, ADA-Compliant, Credit Cards Accepted.